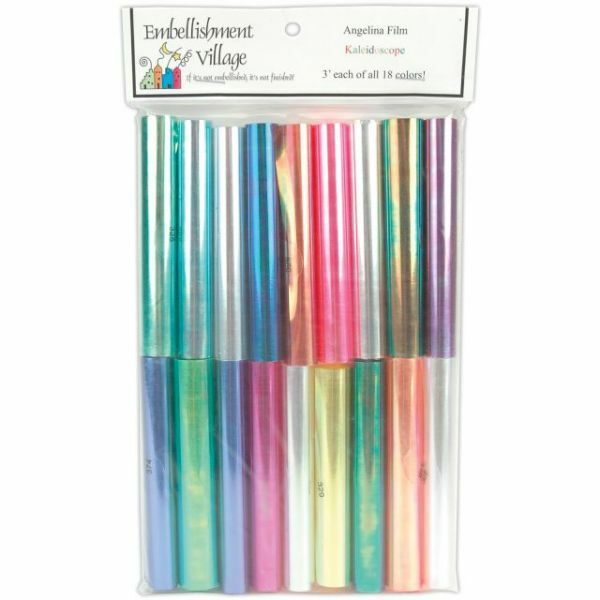 Angelina Film Sampler 4"X3' 18/Pkg - EMBELLISHMENT VILLAGE-Angelina Film Sampler. A sheer film from which Angelina fibers are cut. Product can be heat bonded, stamped and stitched. Use it alone or with Angelina fibers to add gorgeous shine, texture and intensity to products such as fiber arts, scrapbooks, crafts and much more! Includes directions. Film measures 4inx3ft. 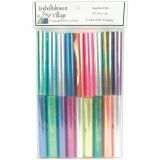 Sampler package includes all eighteen colors. Imported.